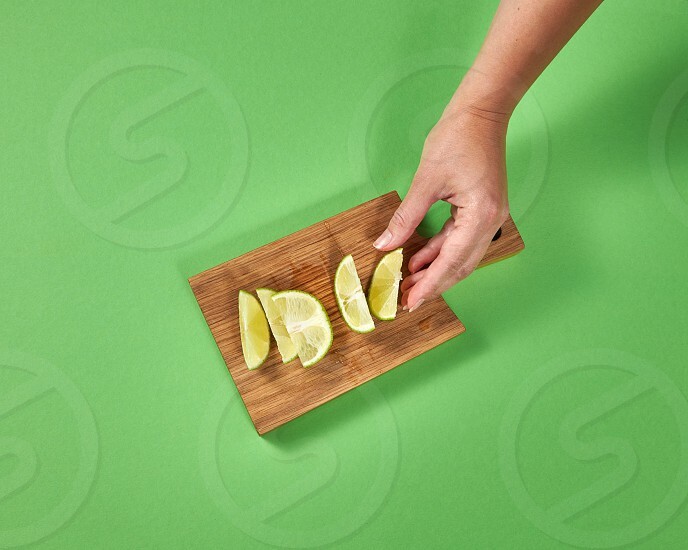 Organic natural fresh lime slices on a wooden board. Female hands takes a piece of lime for preparing homemade natural lemonade. Concept of healthy natural vegetarian food.